How to add wireless charging to any Android smartphone, is it worth it? Wireless charging is a feature which is limited to some flagship smartphones only; even phones OnePlus 5T don’t support wireless charging. Apple new flagship smartphones, the iPhone 8, iPhone 8 Plus and iPhone X all come with wireless charging tech. However, what do you do if you want wireless charging, but your Android smartphone doesn’t support it? Thanks to all the wireless charging kits available online, almost every smartphone can get the wireless charging feature. You don’t need any chip level knowledge, just need to buy a wireless charging kit. Read on to find out more. Why you need Wireless Charging? Wireless charging can be a very convenient feature. You only need to place your phone on the charging mat, and your phone will start charging. The only drawback of wireless charging is that most of your smartphones will charge slowly when compared to wired charging. What you need for this is a wireless charging kit which is available on Amazon for Rs 1,000 to Rs 2,000. These wireless charging kits include a wireless charging receiver for the smartphone and a charging pad which will actually charge the smartphone wirelessly. If you already own a wireless charging pad, then you don’t need to buy a full kit – all you will need is a wireless charger. However, for smartphones that don’t support wireless charging out of the box, check out the wireless charging kids below. 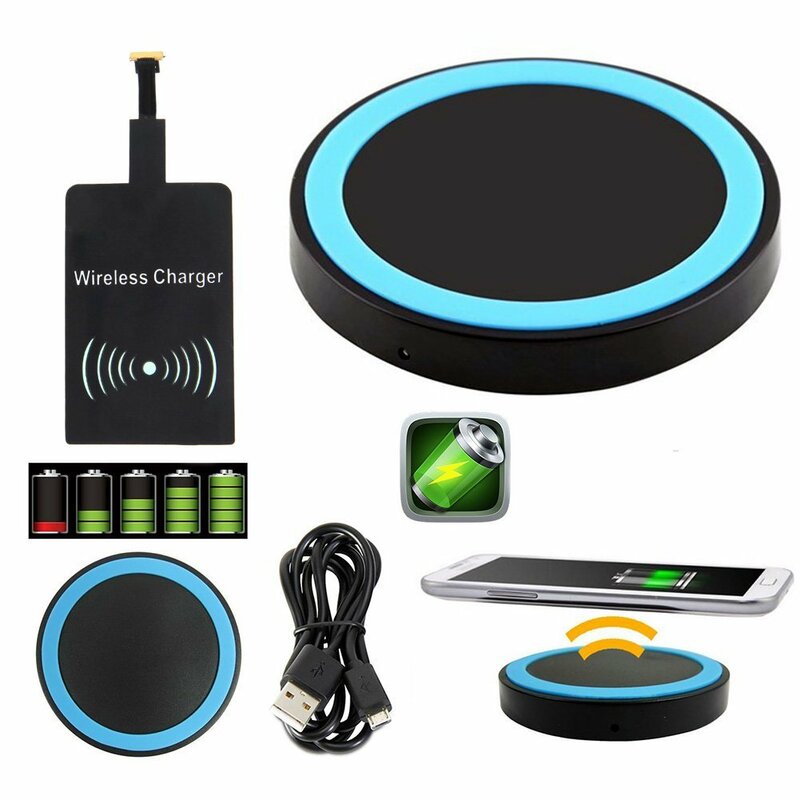 You need to buy a wireless charging kit which includes a wireless charging receiver which is a thin sticker like receiver which is connected to a micro USB port. This microUSB port goes into the charging port of the smartphone, and you hide the receiver pad under a case which you use with your smartphone. Once it is done, connect your wireless charging pad to the wall socket and put your phone on the charging pad. And just pick up your smartphone when the charging is done, you don’t need to mess with cables anymore. It doesn’t matter which smartphone you own, the charging kit even comes for the iPhones, but it shows some compatibility issues. So, buying a wireless charging kit for your iPhone is a gamble unless it comes with iPhone compatibility. If you have any queries then let us know in the comments or our social media pages.